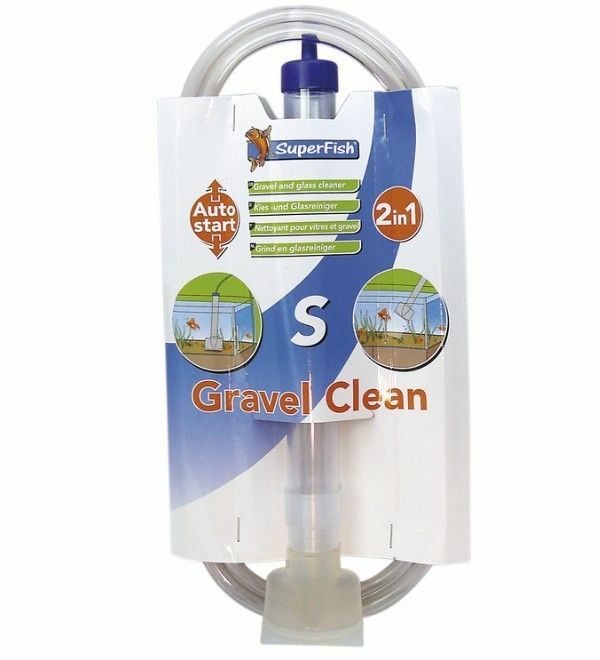 The Superfish Gravel Cleaner takes the hard work out of cleaning the aquarium. It is an easy to use two in one cleaner. It can be used for carrying out water changes and for sucking up the debris at the bottom of the tank. It has an 'auto start' mechanism which means that when you plunge the gravel cleaner into the gravel at the bottom of the tank, the water will automatically make its way up the tube and out into your bucket. No more sucking the tube and getting a mouthful of foul water! The cleaner also has a gravel guard to stop gravel or stones being sucked up through the tube and blocking it.